This was a custom piece for a wonderful customer of long-standing who, even after having been told to go ahead and sit already, keeps coming back for more. He lived for a long time in the orient, so many of the pieces which he has commissioned from me have an oriental flavor. 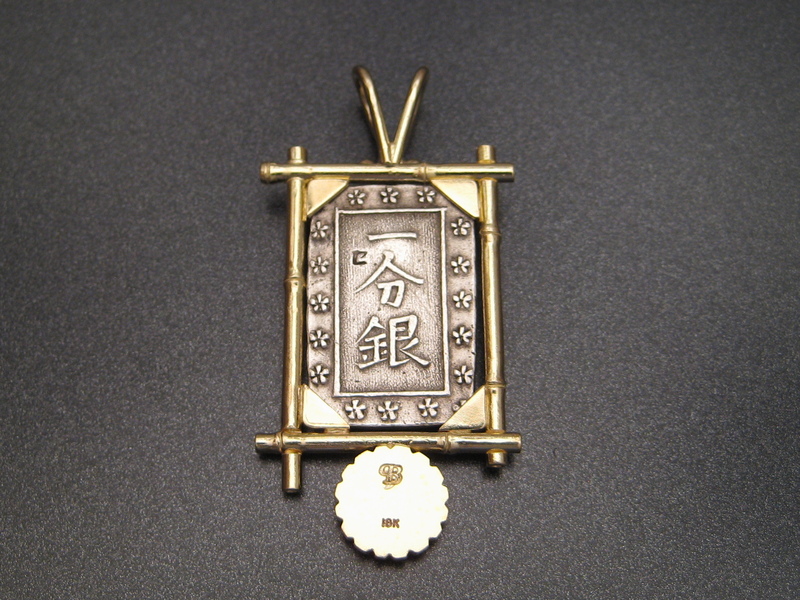 In this case we borrowed from Japanese imagery to frame this beautiful coin. 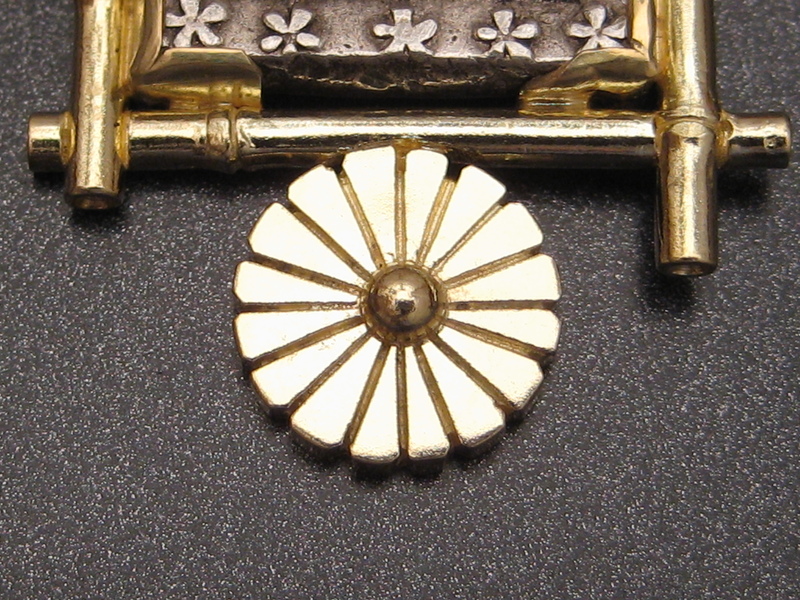 This is a coin from the Tokugawa period called an Ichibuban or Ichibu-Gin, also known as a samurai coin. 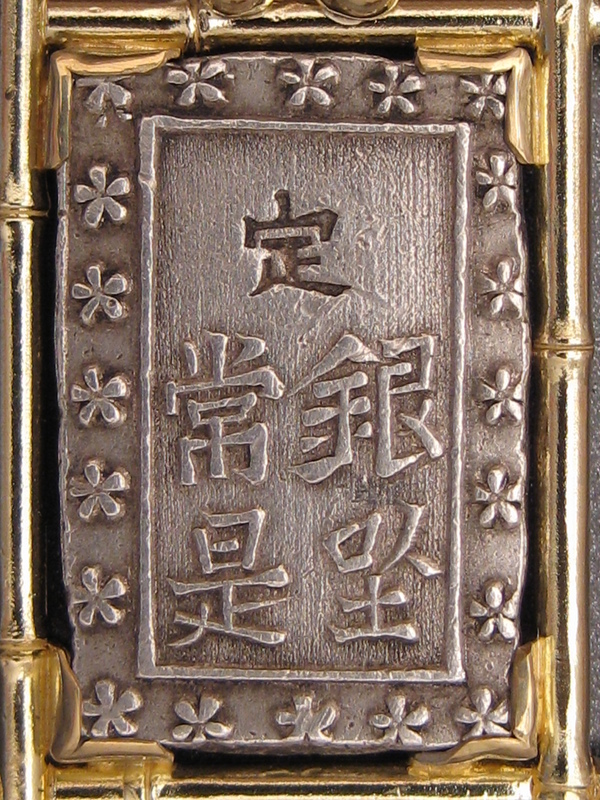 This coin was a fraction of a Koban and worth several Isshuban. This wave of coinage was reportedly made from Mexican Pesos which had been eagerly received from recent trade at the middle of the 19th century. 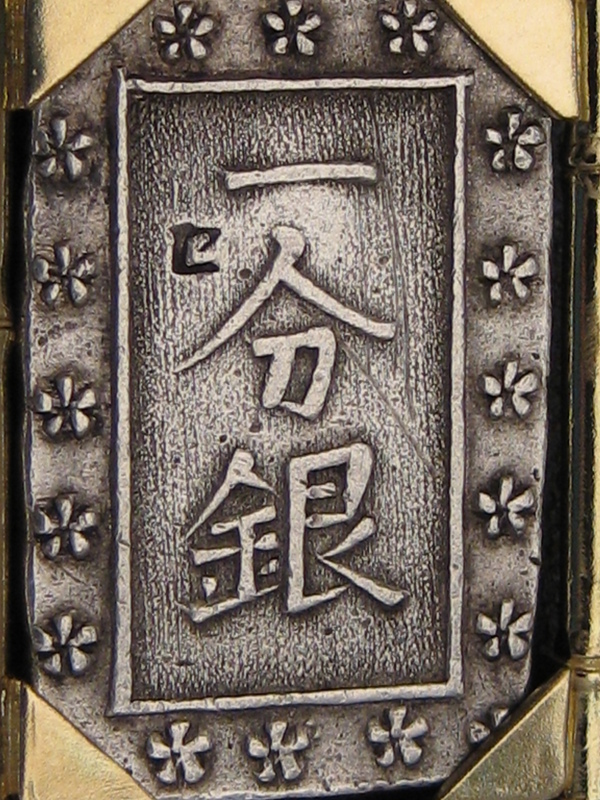 Unfortunately, the Japanese culture valued Silver at a higher ratio to Gold than the rest of the world. When the rest of the world got that memo, they came calling with lots of silver with which they bought all of the gold in Japan at bargain basement prices. 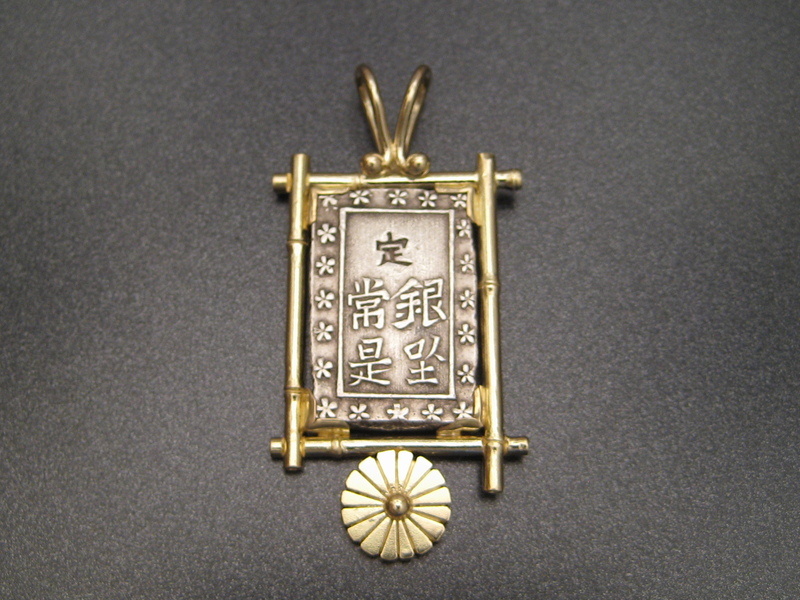 I decided to show off this beautiful coin in a frame of 18K gold bamboo stalks abbreviated with the chrysanthemum blossom.